England’s chances of progressing from the group stages of the World Cup in Brazil have been given a huge boost today after reports emerged that Uruguay’s star striker Luis Suarez is to undergo urgent surgery on a knee injury. Suarez is reported to have felt discomfort in his knee during national team training last night and, according to the Uruguayan journalist Martin Charquero, tests later revealed he had suffered damage to his meniscus. The Liverpool forward was expected to undergo surgery at 7.30am this morning – but Charquero said the Uruguary camp is nonetheless confident they can get him back in time for the start of the tournament. A Uruguay FA official has admitted that the news has come as a shock, and that the FA will make an official announcement later this morning. He said: “It was all unexpected. The latest information is that we are deciding what to do, but there are increased possibilities (involving surgery). Suarez was expected to resume his fearsome partnership with Paris St-Germain striker Edinson Cavani, but that combination looks to have been shot down before a ball has been k!cked. Diego Forlan, who impressed in leading Uruguay to third place in the 2010 World Cup in South Africa, was expected to play a support role from the substitutes, but the 35-year-old could now be needed to start alongside Cavani. Forlan currently plays for Cerezo Osaka in Japan’s J-League. Uruguay coach Oscar Tabarez does have other options he can call upon, with Espanyol’s Christian Stuani and Pelermo’s Abel Hernandez bot available to deputise for the injured Suarez. The country’s first match, against Costa Rica, is scheduled for 14 June – yet according to reports from NBC Sports, recovery from a meniscus procedure typically takes between four and six weeks. Uruguay are due to play England on 19 June. The group also contains Italy, who England will face first. 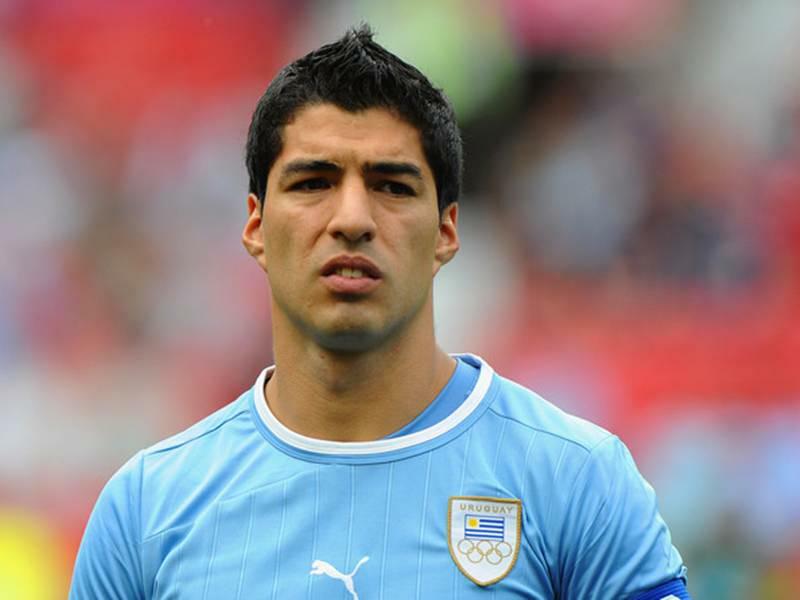 Liverpool are believed to be enquiring about further details on Suarez’s condition, with their medical staff attempting to contact that of Uruguay’s national team. An update is expected later today. Uruguay’s hierarchy still remain optimistic that their star striker will be available in the World Cup, with secretary of the national team Roberto Pastoriza claiming that they still hope he will play a part in Brazil. “According to the report I received a while ago, we are optimistic that he can go to the World Cup,” Pastoriza told ovaciondigital.com. “It was all a surprise. Suarez trained with a niggle and decided to have an MRI.